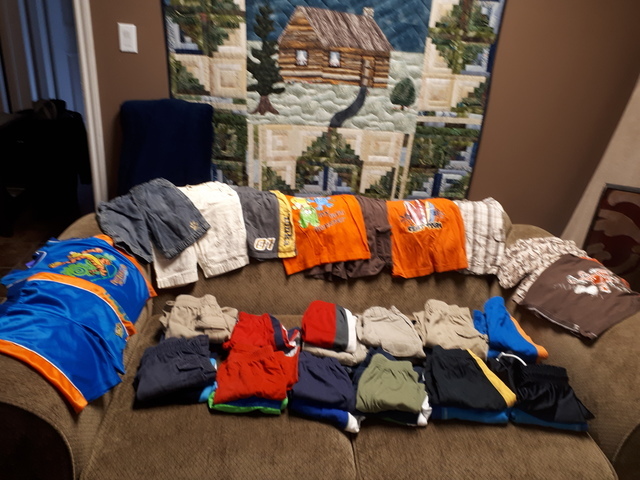 Know it is not the time of year to sell shorts, but cleaning the kiddo's closet out....someone might want to grab to prep for next summer season....all will fit 3/4 yr old. Must all go together....32 pairs, including swim, cotton, jean, etc. Also included are 4 sets (tank/shorts together). Asking $20 for the bunch.